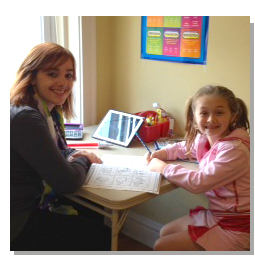 Hinsdale Tutor Place, Inc. offers one-on-one private tutoring services in our offices conveniently located in downtown Hinsdale. Our teachers are highly experienced to tutor the students of Districts 86 and 181, as well as surrounding area districts. Tailoring to personalized curriculum is imperative because every student is capable of achieving success in school. Our mission is to enhance academic achievement for students, grades Kindergarten through High School. Each child has different abilities and learning styles. Our experienced and highly trained tutors are committed to improve student progress through innovative teaching methods, accelerating achievement. Our teachers are knowledgeable about new Common Core standards. Visit www.CoreStandards.org to learn more about Common Core. We provide one on one tutoring sessions to target specific needs and implement an individualized plan to help your child achieve academic success. We do this by evaluating a student’s strengths and weaknesses to develop a learning program that will engage and lead them towards working independently and efficiently while encouraging higher learning. Email us at HinsdaleTutoring@aol.com for more information.